You might be wondering what goes on in our choir practice every Tuesday night. Held in our Practice Room at Eirianfa Community Centre in Denbigh. All is about to unfold. Chairs arranged in a shallow semi-circle will provide the best tonal quality. The staggered rows of chairs ensure that each member can see the conductor. Just as important, so that he can can see and HEAR each member. We sit for most of the choir practice. When the situation demands it, the choir members stand. The piano is next to the conductor’s music stand. Joyce Davies, our accompanist, arranges her copies and flexes her fingers. The stage is set. What do we do? Go and buy a raffle ticket from Paul Denney. Paul took over raffle duties on the death of chorister Hugh Williams. 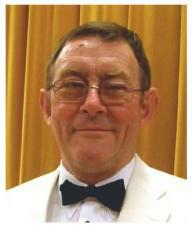 Hugh, a popular member, was proud of the monies he raised for the choir over many years. Hugh was a carpenter by profession and all the artifacts that he made for the choir are still in regular use. The large clock face on the wall behind conductor, Arwyn Roberts, shows 7:30. Hence, the piano strikes its first chords of the evening. Choristers scramble to their seats. Ready for our regular warm up piece, ‘Dona Nobis Pacem.’ This produces a melodious, in the round, four part harmony. We never perform this as a concert piece. If you would like to hear it, come along and attend our choir practice night. A latecomer mumbles an apology. Trying to get to his seat without catching the conductor’s eye. The phrase will not apply during the next two hours. 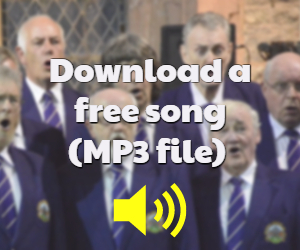 The choir raises the volume as it goes through its varied programme. 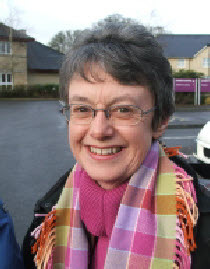 The choir practice night programme concentrates on forthcoming concerts. It’s likely to be a mixture of learning new pieces and consolidating songs which feature often in the choir’s performances. The advice is not always heeded. Starting and ending musical phrases can be a challenge and a curse. This applies to the most competent and experienced of choirs. After an hour, the signal given to Huw Jones, our tea maker ‘extraordinaire’ to put the kettle on. A well earned and enjoyable tea break. The raffle winner collects his bottle of wine. I hope you hadn’t forgotten! Gales of laughter are now heard in various parts of the room. Especially in Geraint Roberts’ vicinity as he is a source of the latest jokes. In fact, the pervading atmosphere is always warm and congenial. This ‘large family’ now settles, preparing itself for the second half of choir practice. 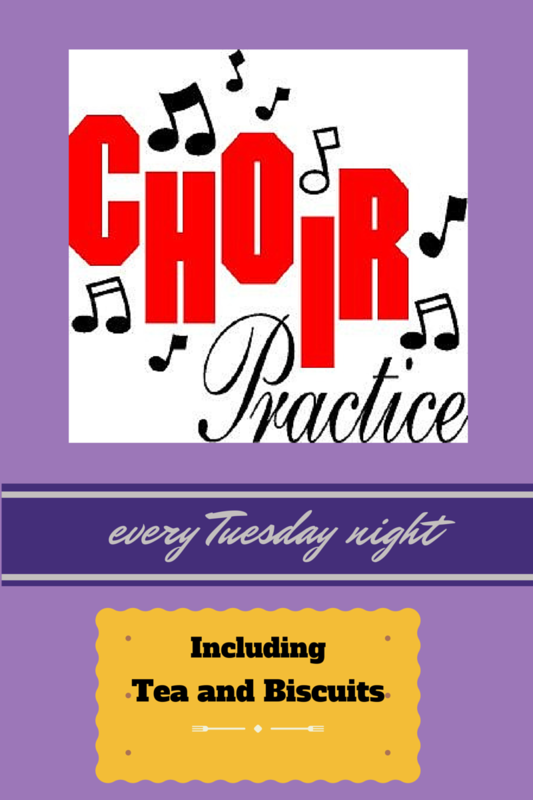 You can read about More Choir Practice by clicking here.